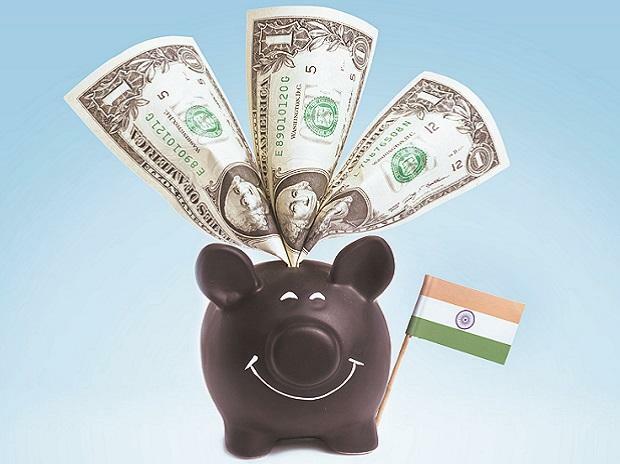 Foreign portfolio investment (FPI) in stock markets more than halved to Rs 260 billion (Rs 26,000 crore) in 2017-18 on fears of faster than expected rate hike by the US Federal Reserve and higher valuations of Indian equities. In comparison, overseas investors had put in Rs 557 billion (Rs 55,700 crore) in equities in 2016-17 after pulling out over (Rs 140 billion) Rs 14,000 crore in the preceding fiscal, according to the data with depositories. However, a sharp turnaround was seen in FPI inflows into debt markets in the just-concluded fiscal as foreign investors poured in a staggering Rs 1.2 trillion (Rs 1.2 lakh crore) in the segment against a net outflow of about Rs 73 billion (Rs 7,300 crore) in 2016-17. Lower FPI investment in equities in FY2017-18 compared to the preceding fiscal does not come as a surprise. The decline has been steady on account of various factors such as Indian market traded at a premium to many other markets, Vidya Bala, the Head of MF Research at FundsIndia.com, said. “Besides, fear of faster than expected US Fed rate hike resulted in outflows from FPIs in equity,” she added. On the other hand, a stable currency coupled with a higher post-inflation return in lay year led to higher inflows in debt. However, the situation is slowly reversing as there have been debt outflows in February and March of 2018. The overall net foreign capital inflows of Rs 1.45 trillion (Rs 1.45 lakh crore) have made 2017-18 as the best period for the Indian capital markets (equity and debt) in past three financial years. This year’s inflows have pushed FPIs’ cumulative net investment in the Indian equity market, since being allowed over two decades ago in November 1992, to Rs 8.86 trillion (Rs 8.86 lakh crore). The cumulative figure for debt securities has also grown to Rs 4.2 trillion (Rs 4.2 lakh crore) — taking the total for both debt and equities to Rs 13 trillion (Rs 13 lakh crore). The capital poured in by FPIs is often called as ‘hot money’ due to its unpredictability but overseas entities are still among the most important drivers of Indian stock markets. Going ahead, both equity and debt inflows will see volatility in 2018-19 in terms of investment by FPIs as a result of global trade tensions, Fed rate hikes in the US as well as 2019 general elections in India. Tubelight Movie Review: Salman Gives A Good Performance But Not His Best!